Obesity foundation India (OFI), offers those affected by obesity many valuable resources to begin educating themselves about the disease and the negative stigma often associated with it, in addition to advocating for access to safe and effective treatment. From information about the emotional, social and physical effects of all forms of obesity, to the most current information on the disease and its treatments, OFI provides individuals with the tools needed to take a proactive approach in the fight against obesity. OFI encourages all those affected by severe obesity to contact us for more information. Obesity now considered as a "Killer lifestyle" disease is an important cause of preventable death worldwide. 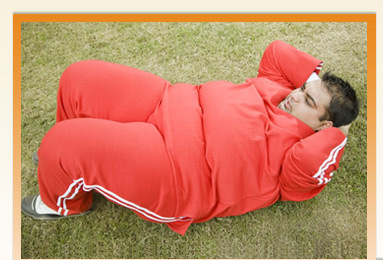 According to the World Health Organization (WHO), 1.2 billion people worldwide are officially classified as overweight. This is probably the most sedentary generation of people in the history of the world. In the Indian scenario, even with the growing awareness about health and fitness, more than 3 percent (3 crores ) of the Indian population is obese. There is an urgent need to create public awareness about the mechanisms of identification, prevention and treatment of severe obesity than ever before. Worldwide, anti-smoking campaigns' success can only be attributed to persistent and repeated public awareness programs over several decades. Since 1964 when anti-smoking campaign first started-nearly half of living adults who smoked have stopped in the USA. Obesity Foundation India plans to emulate the core principles of anti smoking campaign to achieve its goal of prevention of severe obesity.